Over 100 people, met in the Clarion Hotel, Liffey Valley, Dublin on June 1st 2013 to dialogue together on the theme of The Role of the Laity in Shaping the Future of Our Church, and to discuss how best ACI can work towards the change it seeks. An approach called Open Space was used to facilitate people’s full engagement in setting the agenda for the day. Those present were invited to name an issue connected to the theme of the day for which they had passion and energy. 30 people responded to that invitation and 12 workshops were formed for the afternoon session. Others present were asked to choose which of these they felt most interested in and then to engage in a discussion around recommended actions that would progress the issue, and feed into ACI objectives. As a start up voluntary organisation ACI relies on the energies and efforts of volunteers. We invited people to flag if they would be willing to get involved in the actions recommended and/ or to take a lead on making them happen. We have those contact details and will be in touch shortly with this people to discuss next steps. 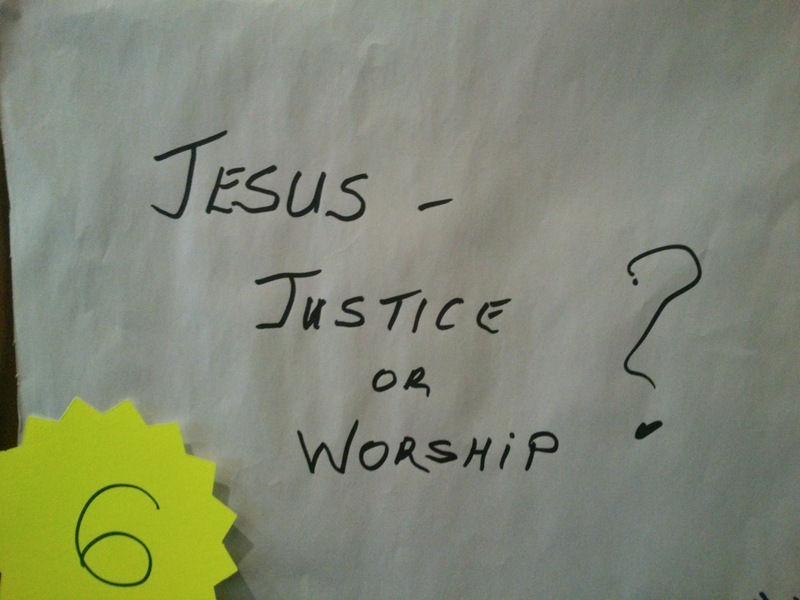 A sample of the workshop titles discussed at the Clarion Hotel on June 1st. 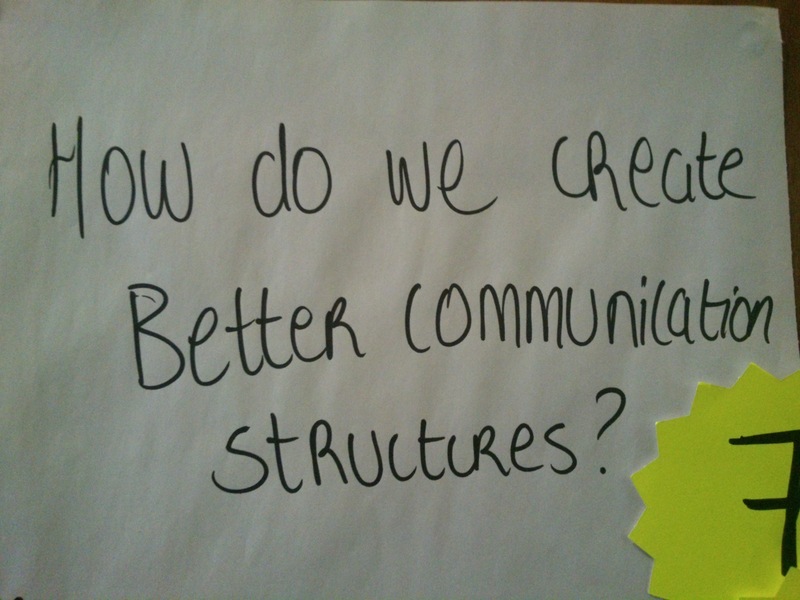 A workshop on communication within our Church. Respecting different ways of expressing faith and praying was also a key topic on June 1st.